The more the things change, the more they remain the same. The all-new BCCI promised to be a utopia of governance. Cleaned up by the Supreme Court and overseen by decorated bureaucrats, historians, bankers, we were promised this new beacon of hope that will reform the whole system from the ground up. The manner in which the push for a bigger chunk of ICC revenues and the threats to withdraw from Champions Trophy played out, it was quite clear that BCCI isn’t taking Indian cricket to the promised land anytime soon. Most recently, BCCI decided to fix something that ain’t broken by asking for applications for the role of team India’s head coach. While they are doing it under the garb of “following procedures”, it reeks of an iron fist approach to governance where those who don’t comply will be sidelined. During his sting, Anil Kumble has always stood up for players’ rights. 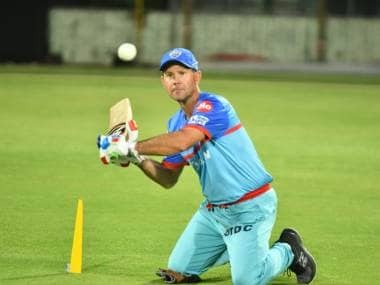 As the elder statesman of the team, he took it upon himself to reach out to the Committee of Administrators (CoA) and negotiated for a pay hike for international and domestic cricketers. Kumble enjoys tremendous respect in the Indian team. He has just overseen one of the most successful seasons of Test cricket in India’s history. Several players thanked him for going the extra mile to help them. Cheteswar Pujara, India’s most successful Test batsman this season, credited Kumble for helping him against left-arm spin bowling by bowling left-arm spin in the nets. Some coaches are more adept at formulating strategies in the dressing room (think Duncan Fletcher) while some are more hands on with the players during practice (think Gary Kirsten); Kumble is turning out to be a coach who does both. The results and confidence of players weren't enough for BCCI though and they decided it’s time for a change. They probably started seeing Kumble as a troublemaker. BCCI will remember that Kumble was also at the forefront of discussing player contracts for the first time in Indian cricket, back in 2003. Players see Kumble as one of them, the board might prefer someone who is closer to the board (like Ravi Shastri perhaps?). When Kumble started negotiating with the board on the issue of payments, Harbhajan Singh wrote to him to raise the matter of domestic players' pay hike as well. 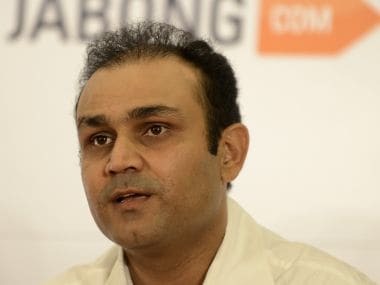 It’s hard to imagine him doing the same if it was a Shastri or a foreign coach negotiating on behalf of the players, provided they would have taken up the matter at all. Kumble has been impeccable in his service to the game over the past 25 years, his aura shines not just in India, but the world over. As captain of the Indian team in 2008, after losing the Test match to Australia in Sydney, Kumble’s scathing words made the Australian team unpopular in its own country. His words, "Only one team was playing with the spirit of the game, that's all I can say," sent cricketing establishments in Australia into a frenzy and prompted respected Australian writers like Peter Roebuck into believing that Ricky Ponting must be fired as Australian captain for disrespecting his opponents. They trusted his words more than their own captain. It’s difficult to imagine another cricketer in the last two decades whose words could have created a similar impact. Kumble played hard and fair on the field and had a confident, calm demeanour off it that demanded respect. When Kumble talks, cricket listens. 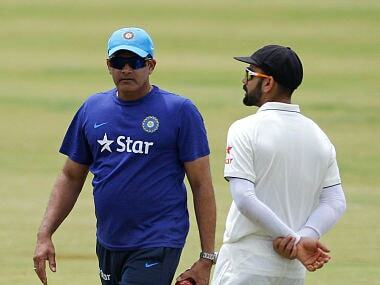 It’s difficult for BCCI to defy a man of Kumble’s stature for too long. The only way for them to have their way is by giving him an office from where he is easier to manage. Sounds familiar? Yes, that’s how the bureaucracy functions. After all, just like bureaucracy, the people currently running BCCI are “appointed” to run the game. Elected members may find it harder to sideline someone as popular as Kumble. If Kumble is indeed axed as coach after such a successful one-year stint, it will be a dark chapter in Indian cricket history. Pakistan Cricket Board (PCB) has chopped and changed captains and coaches randomly over the past two decades and we all know how badly it has affected the state of Pakistan cricket. Incidentally, the PCB is also mostly an appointed body, bit like the current CoA of BCCI.